Laura Michaud is a family business advisor and expert dedicated to helping family businesses improve corporate performance, strengthen relationships, and successfully work through the many transitions that affect family-run organizations. Laura's deep knowledge comes from years of experience as a successful, third-generation family business owner (nearly 20 years), family business consultant (since 1998), and board member on multiple boards of family businesses. Laura launched The Michaud Group in 1998 to fulfill her dream of helping family businesses, like the one she came from, overcome the challenges that only family businesses face. Family members working together face challenges unique to family-owned organizations. Families are about support, love, and fairness, but business is about hierarchy, competition, and improving the bottom line. How to reconcile those two has been Laura's forte since opening The Michaud Group. Laura helps families manage and overcome conflict, allowing them to work better together. She leads families through succession planning, transition management, and organizational structuring—as well as helping set the most appropriate governance for both the family and the business. Her strength is to bring success to the family business--while keeping harmony with its members. Laura was a third-generation owner and marketing executive of Beltone Electronics, one of the largest hearing aid companies in the world. During her nearly 20-year tenure at the company, she grew sales by more than 300% to attain $150 million in revenue. In 1997, when the family decided to sell the business for estate reasons, Laura was the chosen successor and was training to take over the helm. Her personal experience, along with her multi-faceted knowledge of the challenges family businesses face, is at the root of her success as a family business advisor and presenter. Laura is a sought-after family business speaker and subject matter expert to the media. She has been quoted and asked to speak across the country and in a multitude of industries—from manufacturing to retail businesses; farm to construction. Over the years, Laura has been a featured keynote and workshop presenter to associations, universities, and corporate meetings, for groups such as The Family Firm Institute, Ace Hardware, RR Donnelley and Sons, and American Farm Bureau, just to name a few. See a sampling of more of Laura's clients here. Her dynamic, often humorous and interactive, and highly informative style makes her an effective presenter to a wide range of audiences representing all generations and business sizes. Laura has the gift of truly connecting with people, and loves to share her own stories, antidotes and experiences, which ultimately helps her audiences understand family business issues and how to resolve them. She has lived the life of a family business member, which gives her an edge that very few family business advisors have. She is passionate about family businesses, about helping people succeed, and advocates tirelessly about what it takes to ensure family business success. Consulting with family businesses is the heart of Laura's firm. Since 1998, Laura has helped family businesses find the most appropriate solutions to ensure success of both family members and their companies. Her process is systematic, starting with a full assessment of the family, and continuing with the development of a strategy to resolve issues. But it is Laura's own experience and training that influences her deep commitment to providing a safe, trusting environment in which to develop strategies that work. Among the wide range of services she offers are help with succession planning, conflict management, leadership coaching and next-generation mentoring. Laura also can draw from a network of select professionals in ancillary fields like estate planning and therapy to ensure success. As someone who has lived, worked, been trained, and made her way to the top of her family's business, Beltone Electronics, Laura is in a unique position to advise family business leaders and next generation family members. Since founding The Michaud Group, she has counseled many executives on numerous aspects of running a family business, including setting up systems to avoid conflict, and setting tools in place to avoid crises that occasionally surface in family businesses. In addition, she has mentored next generation teams and chosen successors, preparing them for additional responsibilities. Laura has served on several boards of family businesses, as well as not-for-profit boards. Boards have found her expertise and experience invaluable in growing and running their organizations successfully. Serving on a board is one of Laura's favorite undertakings, and she keeps her eyes open for the next opportunity, time permitting, to add to the list of organizations for which she can make a difference. 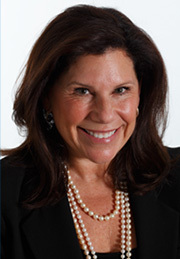 Laura's articles and interviews have appeared in countless publications, including Entrepreneur Magazine, Executive Excellence, Family Business Magazine, and Crain's Chicago Business. She also welcomes the opportunity to comment on radio or television. In her defining book: From the Kitchen Table to the Conference Table: Family Business Communication, Laura shares the lessons she has learned as a successful family business owner, sales and marketing executive, board member, and family business consultant. Laura holds an MBA in marketing from Loyola University and an A.B. in Mathematics from Washington University. Are you facing challenges in your own family business? Get a personal answer online now! © The Michaud Group. All Rights Reserved.